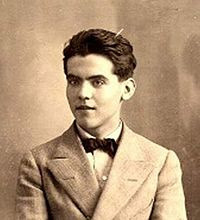 In honor of Federico García Lorca. Without whom I would never have had the pleasure of memorizing the following poem in 10th grade Spanish class. Thank you Señora Perrin. It took this news and re-reading of the poem for me to realize how tragic and eerily foretelling the text really is.